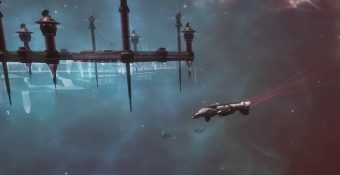 Multiple damaged Drifter fleets were spotted in New Eden and Anoikis during the last weekend. 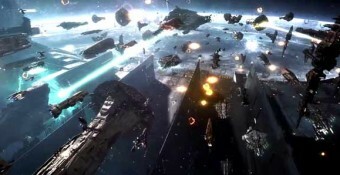 The fleets encountered are the largest concentration of Drifter battleships since the Throne Worlds campaign in YC118 and the message of Hilen Tukoss in YC116. Hello folks! This thread will serve as the discussion point for a new ship scheduled for the upcoming March release: the Monitor-class Flag Cruiser. Dev Blog: Balance Changes Coming In The March Release! Hello, my name is Hugh Caswakk and I’m a writer and part-time conspiracy theorist for EN24. The half-mad ravings here are my own and do not represent the official view of EN24, my corp, alliance or coalition. What does this mean for Horde? What does this mean for the North? 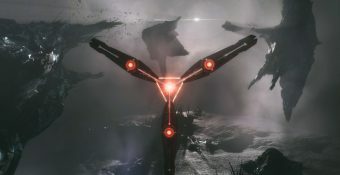 Due to repeated delays and uncertainty that the Nyx model would ever reach the hands of our pilots, we unfortunately have ended our relationship with TriForce and cancelled the project. In the recent battle at 9-4, Imperium forces were stopped by ‘The North’. But who exactly is ‘The North’? For some players, the answer is obvious. For others, the mess of New Eden geopolitics makes it a difficult question. The Winter Summit for the 12th democratically elected Council of Stellar Management took place at CCP HQ in Reykjavík from Jan 15 -18, covering a wide range of EVE topics chosen by both the CSM and CCP. Freedom Fighters. Revolutionaries. Terrorists. Dissidents. 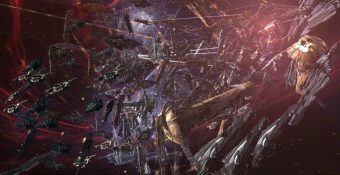 The Bloody Hands of Matar are described as various things across New Eden, but what is certain is that they adopt a hard-lined opposition against the Amarr Empire and its allies. The t-shirt design contest that we held prior to Vegas was incredibly well received, with over 150 designs submitted. How about we start the day with a fight against the odds. CVA’s brand ambassador “Lasker Emanuel” is no stranger to fighting outmatched and outnumbered. As many of you have already noticed, we have some changes coming in February to Assault Frigates as well as a new Assault Damage Control module type, which can only be used by Assault Frigates and Heavy Assault Cruisers. Doubling final vulnerability timer to 15 minutes. Hello again everyone! Thanks again for the continued discussion. I’ve finally caught up with the new posts in this thread and today I’m able to share with you all a few changes to the the plan that we’re making based on your feedback so far.